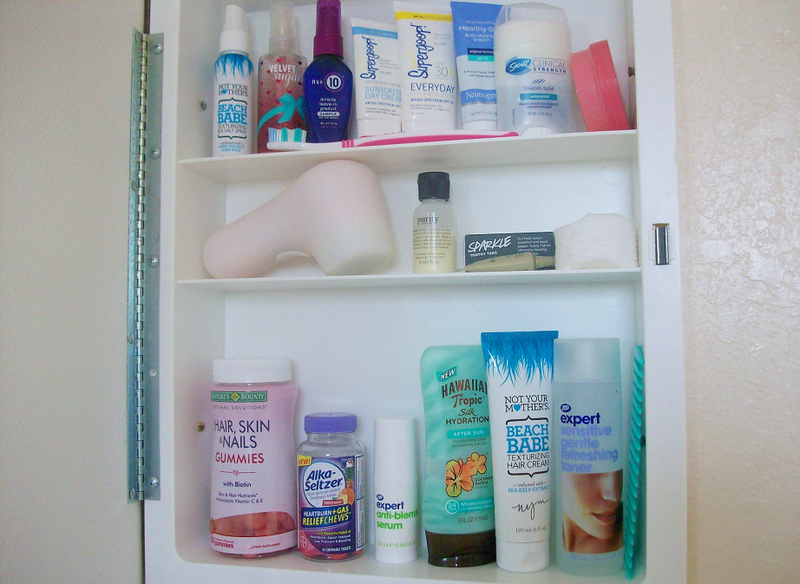 While I was in Florida we stayed at a hotel with a bathroom cabinet and since I've always wanted a bathroom cabinet I filled it with all of my personal goodies and thought I would take advantage of this opportunity (because I will probably never own one of these myself) and make a "What's in my bathroom cabinet' (travel edition). I didn't really separate the shelves into selections I just put them where the bottles and tubes fit and looked right. 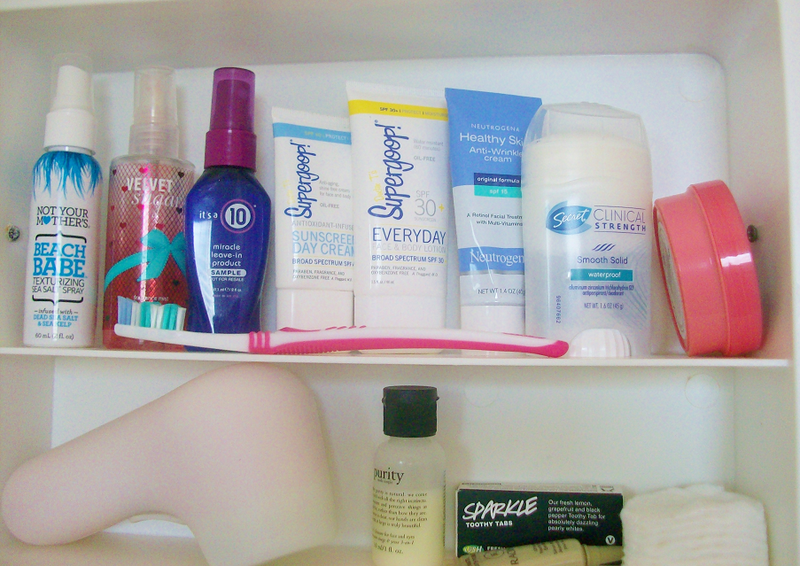 Top Shelf: This first shelf holds some hair products and body spray to the left. 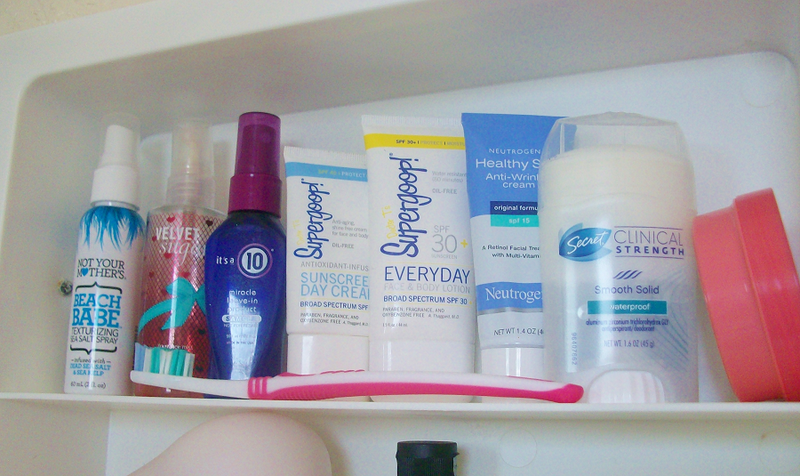 In the middle I have my sunscreens, moisturizer, and toothbrush. 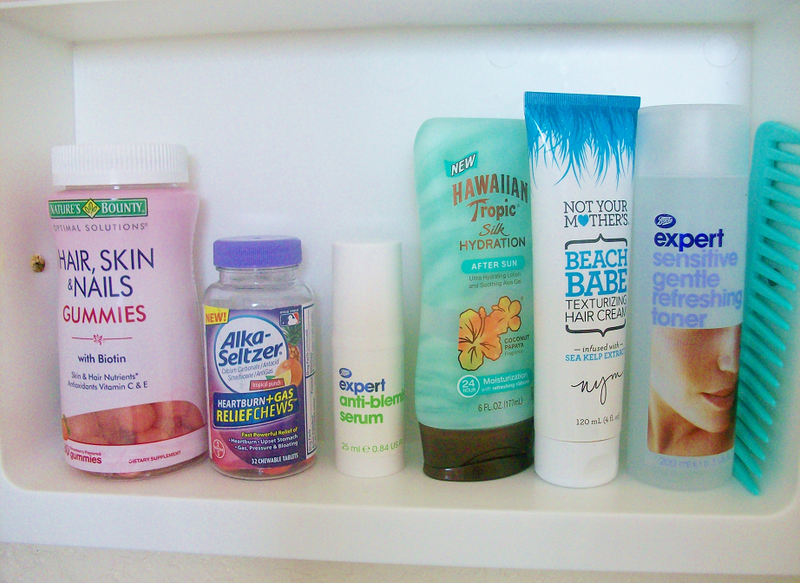 The right side contains my deodorant and a travel size body cream. 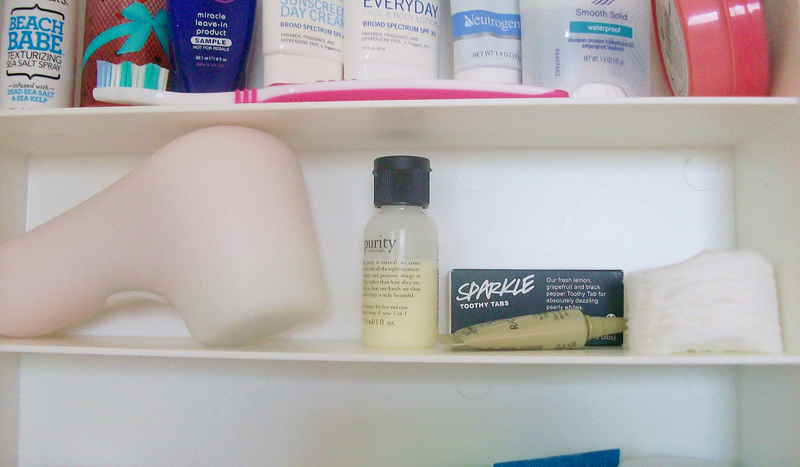 Middle Shelf: This part of the shelf holds most of my skincare products such as my Clarisonic, cleanser, eye serum, and cotton pads. I also have some LUSH Tooth Tabs because I forgot to bring toothpaste so I just bought these cause they looked interesting. Bottom Shelf: Like the other shelves this one is randomly thrown together. To the left are my beauty gummies and my heartburn chews (because I get heartburn from time to time). In the middle I have a face serum I'm currently testing and some lotion to put on after being in the sun, I didn't really stay outside for a long time but I bought just in case (I'm still as pale as ever). On the far right I have my toner and my hair cream and wide tooth comb.